The standard Saab rack mount allows significant movement in the rack so causing torque steer and poor general steering response. 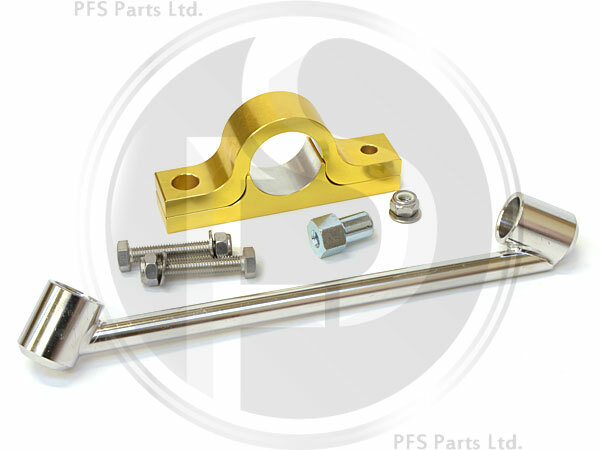 The PFS Rack Clamp and Brace significantly improve the steering and feel of the vehicle and greatly reduces torque steer. This product was over 12 months in development to ensure the product was exactly right and the best available on the market. Despite the long development time and R&D costs, PFS are still able to offer this outstanding product at an incredibly low price!